Our focus at US Mineral Exchange has always been on mineral owners. Our company was founded to help mineral owners sell mineral rights for maximum value. We do this by getting your property in front of a large number of qualified buyers. These buyers compete against one another which creates competition for your property. This competition ensures that you get the maximum value for your property. When Michael decided sell mineral rights in Doddridge County West Virginia he wanted to handle the sale himself. He had talked to numerous buyers and had a few offers on the table. After speaking with us briefly and learning that he could list his property and still look on his own he decided to give it a shot. We encouraged Michael to continue checking with buyers on his own. Shortly after listing his property we had a number of interested buyers for his property. We received a few offers on his property and he accepted one of the offers. Michael ended up making over $10,000 more than he would have based on the offers he found on his own. Michael was able to put more cash in his pocket because he listed his property where thousands of qualified buyers had access to his listing. Listing: When you list your property, there is no cost to list. Selling: If you accept an offer, the buyer pays us a fee directly so there’s no cost to you. Obligation: If you receive an offer there is no obligation to accept it. In addition, if you find an offer outside US Mineral Exchange you are free to complete the sale with no obligation to us. Once we explained that it was truly a free service Gene and Patricia decided to list. They liked that idea of listing with us and having the freedom to see what offers they could get with no obligation at all. We started receiving offers shortly after listing. They were able to sell mineral rights in Harrison County Ohio using our service and were very happy with the outcome and our service. We were introduced to Teresa from another couple who had a good experience with our company. After talking with her to learn more about her property we found out she wanted to sell mineral rights in Garvin County Oklahoma. Teresa had one offer on the table but wasn’t sure if the offer was a good one. She decided to list her mineral rights with us to see what other offers came in. Over the course of a few weeks Teresa was able to get 4 more offers on her property. By listing her property at US Mineral Exchange, Teresa was able to quickly see what the true market value of her property was. Teresa was able to sell mineral rights in Garvin County Oklahoma to one of the buyers she located after listing. After Joseph received an unsolicited offer in the mail to purchase his mineral rights, he was skeptical and looking for more information. We suggested that Joseph continue to talk with the company who made the offer. The more offers Joseph has on the table the more likely he is to get maximum value! We also suggested Joseph list his property with US Mineral Exchange. After explaining that there was no obligation to accept any offer and no cost to list, Joseph created the listing. It took a few weeks for the offers to start rolling in but Joseph was able to secure a number of offers. Joseph was surprised to find that the offer he received in the mail was actually the worst offer out of them all. We explained to Joseph that typically offers received in the mail are far below market value. Joseph was able to sell mineral rights in Midland County Texas for significantly more than the initial offer he received in the mail. Stacy was one of the few mineral owners to avoid a common mistake! Stacy received an offer from a local mineral rights buyer. The buyer said they were offering the best prices to sell oil and gas royalties in McKenzie County North Dakota. Stacy wasn’t completely sold and trusted her gut instinct to check around. She found our website and submitted a free consultation form asking if we could help her evaluate the offer. When we spoke with Stacy we explained that while the offer she had in hand was a good offer, there are royalty buyers all over the country. We suggested that she see what other offers are out there. She was hesitant but wanted to make sure she was getting a good deal. She listed the property with us and quickly received an offer that was $42,000 higher than the original offer she received. While the initial offer she received was a good offer, US Mineral Exchange helped Stacy find a buyer that had deep pockets and was very interested in McKenzie. This buyer was a mineral investor located in Houston that Stacy wouldn’t have found without listing the property at US Mineral Exchange. When we first spoke to James he was very hesitant to provide us with any information. He was concerned about his privacy and didn’t want his information all over the internet. We explained to James that we take privacy extremely seriously. We helped James understand that after creating a listing with us, no one would be able to see his personal information except for registered and approved buyers. 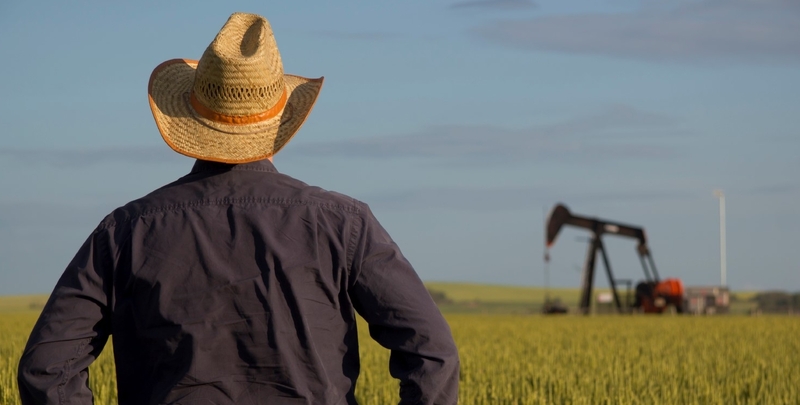 Each buyer goes through a manual review to ensure they are qualified to buy mineral rights. Even after approval, the documentation provided and personal details are withheld until requested by qualified buyers. Once James felt comfortable with our process, he decided to list his property. He was able to see his listing online and noted how little information was available to the public. When James started to receiving offers he was comfortable moving forward. We helped James through the entire process including negotiations. We were able to negotiate James a much higher offer than the buyer first offered and he was pleased with the outcome. James was able to sell mineral rights in Blaine County Oklahoma by listing his property with US Mineral Exchange.